Not only safe, reliable and very attractive, Majestic gas fireplaces are built for efficiency. Majestic gas fireplaces are quality heating appliances that will enhance the value of your home for many years to come. 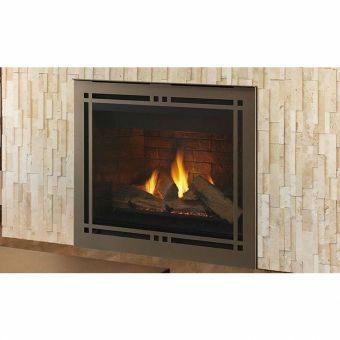 Whenever you are looking for Majestic Fireplaces and accessories, woodstoves-fireplaces.com has everything you need. Majestic has been a major supplier and choice for home in North American for over 100 years. Keeping families warm has been a goal for Majestic since 1894. Coal chutes and cast iron furnaces were some of Majestics original products. Majestic started building fireplaces in 1930 and since then Majestic has continued to produce high quality wood and gas fireplaces, all with exceptional durability, utmost level of quality and of course, strikingly good looking. Majestic Fireplace and accessories are produced with the same high level of expertise that is used for all Majestic products. Majestic provides a vast range of eye-popping styles with sizes to fit every application. Accessories come in convent trending trims and the design will add beauty to your home. Majestic fireplaces are engineered for performance incorporating style while assuring lasting reliability. Strict engineering guidelines are the standard for all majestic products and are designed by hearth experts. Majestic offers advances such as Intellifire Touch – the most forward-thinking and intuitive Intellifire system on the market. Operating your fireplace or stove is simple and safe. Many majestic units incorporate Direct Vent Technology where your fireplace uses outside air for combustion and exhausts 100% of the combustion gas to the outside of your home. Majestic heat management systems enable you to control the heat in your home while at the same time enjoy the fire. With Majestics IntelliFire Technology, you conserve fuel thus saving money when the fireplace is not in use. IntelliFire features intermittent pilot ignition (IPI) so your pilot is not consuming gas while the fireplace is not in use.